It’s a beautiful time of your life when you are building a tiny human in your belly. All of a sudden, your body is changing in all of these different ways and it seems like every day is different. But did you know that your teeth are also changing during this time? It’s true. Because of all the hormonal changes, your teeth and gums will begin to become sensitive. So, before you become pregnant, it is a good idea for your mouth to be the healthiest it can be. Pay a visit to your dentist for a quick check-up. During your first trimester, it is common to have bouts of morning sickness. Curb these instances by using a bland toothpaste and a small toothbrush. The more things you do to not make yourself sick, the better. If you happen to notice inflamed puffy gums, you may have “pregnancy gingivitis” and a trip to the dentist is in order. Cravings are a given, but once you’ve moved on to the second trimester, it is a good idea to avoid sugary snacks as much as possible. Keeping a diet full of Vitamin C, Calcium and Vitamin B12 will help strengthen your teeth throughout your pregnancy. During this time, you may develop small temporary tumors on your mouth or lips, otherwise known as “pregnancy granuloma”. 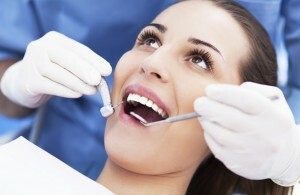 Once you’re in the home stretch, it is wise to avoid making any dental appointments. Keeping up your daily dental routine through your third trimester will maintain your oral health until you give birth. 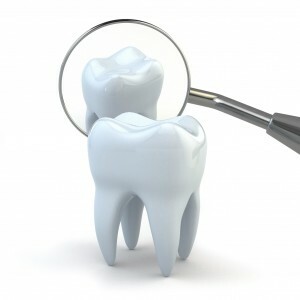 Contact Aesthetic Advantage at 212-794-3552 to register for our courses today or visit www.aestheticadvantage.com to learn more about health issues affected by oral health. Aesthetic Advantage proudly serves New York, Atlanta, Florida, Chicago, Pennsylvania, Boston, Rhode Island, California, South Carolina and all surrounding areas. As you can see, the mouth can display ailments are not even related to the mouth or mouth areas. Early detection of multiple diseases and health problems can often be life-saving. Here at Aesthetic Advantage we like to keep readers and fellow dental professionals abreast of the latest dental health findings. A new study shows that untreated periodontitis can complicate pregnancy in woman. A study of 366 pregnant women, revealed an oral bacteria in the amniotic fluid of women whose pregnancies were complicated by preterm birth. A prior study showed that nonsurgical periodontal therapy could lower the rate of preterm birth. In addition to regular brushing and flossing, woman should visit the dentist at least twice a year, and more often if women are pregnant, suffer from bone loss or gum problems. Source: The Dental Tribune.com – The study was published in the first 2012 issue of the Oral Health and Preventive Dentistry. As you can see, the mouth can display ailments are not even related to the mouth or mouth areas. That is why dentists must be fully trained to know what these signs are and what they mean. Early detection of multiple diseases and health problems can often be life saving. Aesthetic Advantage offers state of the art training facilities to assist you in taking your dentistry education to new heights. To find out more about our programs call us at (212)794-3552.